Fiberglass top install. What do I need? Does anyone sell a kit to install a fiberglass hardtop? What are you all using? 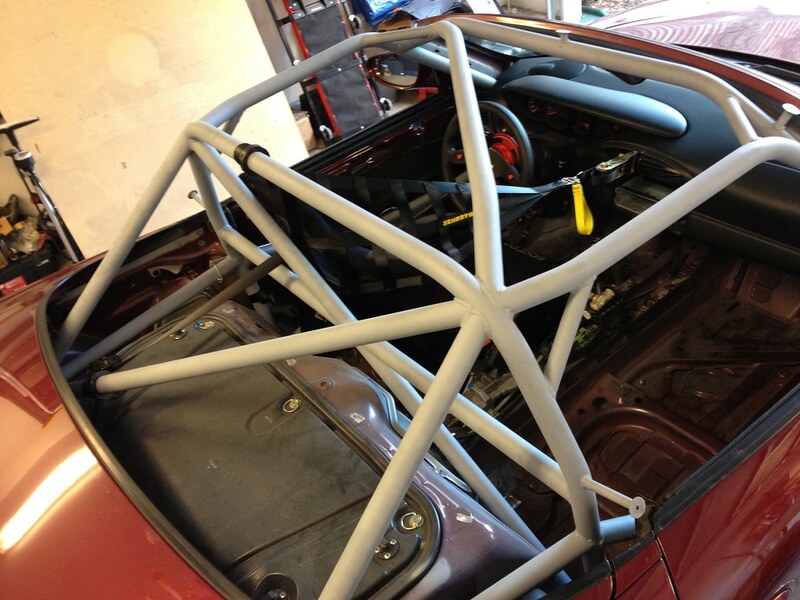 Most if not all cars using a fiberglas top are attaching the top to new mounting points welded on the roll cage. It just depends what those mounting points are. Mine are just threaded holes for small bolts, at the end of little stubs that stick out from the cage. I've seen one or two using DZUS fasteners. On a stock car, it would be a whole different task! There are no suitable attachment points at the ready. I'm not aware of any kit that would adapt the stock front latch and rear spin locks to something that would reach to a shell. I don't think the center latch in front would be sufficient given the flexibility of a fiberglas top at the front corners. And on the sides, the spin lock hole is quite a distance from the shell. Here's a photo of my car just after the cage was installed, which shows the mounting points pretty well (one on each side, and three along the front). There are corresponding holes in the fiberglas top, and little bolts that screw in. My setup is very similar to what trygve had done. 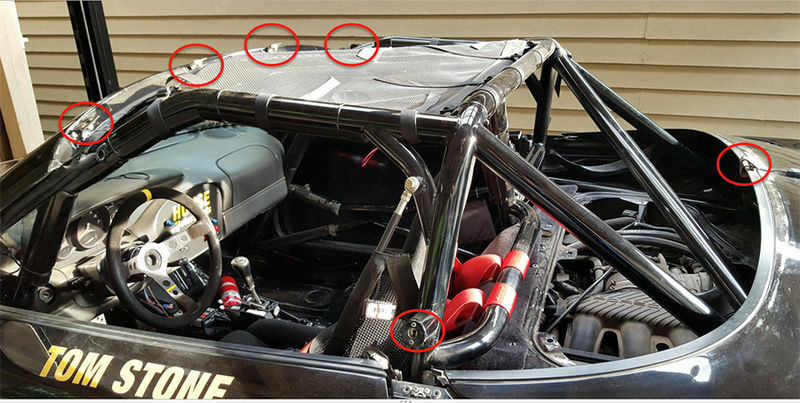 I have it bolted in the back to the roll cage (2 places) and two places just above the windshield using wellnuts. I use flat headed screws to hold it down, no issues to date. 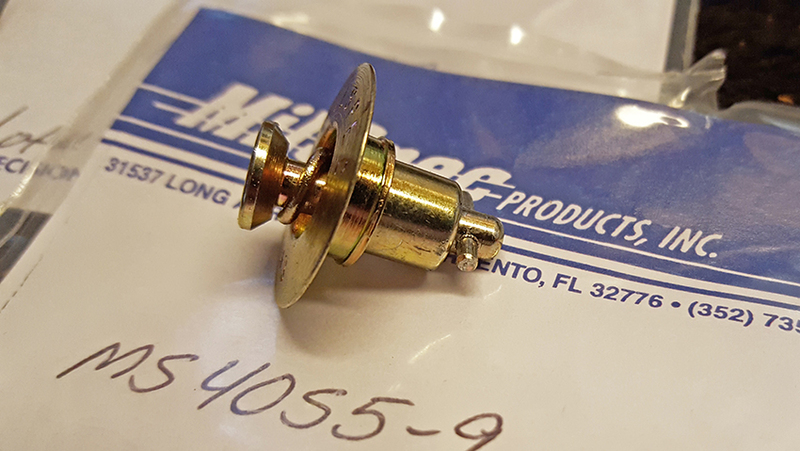 I've used dzus fasteners in the past, they are nice, and make for a quick change, but I've also had them come loose while on track. That's why I'm using screws with a bit of blue loctite. 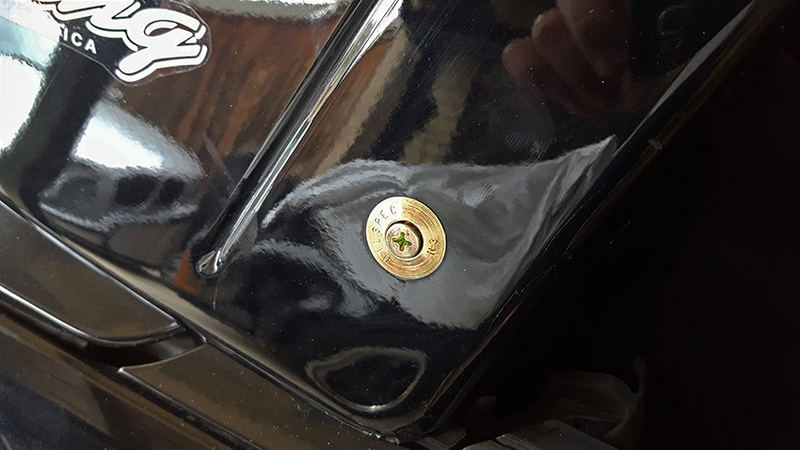 My fiberglass top uses the rear spin locks and has tabs that slide into slots on the top of the windscreen. Have no idea what top it is or how this was done as I bought it that way. Could yours be a gutted factory hard top? There are a decent minority of SBP cars using gutted factory hard tops, which can use the stock attachment mechanisms. I do not use the cage for my front attachment point, the well nuts sit in the windshield surround. Unfortunately, I have never heard of an installation kit so every fiberglass top installation that I have seen is custom, and therefore, different. My car has four tabs that were welded onto the windshield header to accept Camloc fasteners. There are also mounts on each side of the roll cage and a rear bracket. With the Camloc fasteners I can remove the top in <1 min. Last edited by thstone; 01-04-2018 at 09:21 PM.